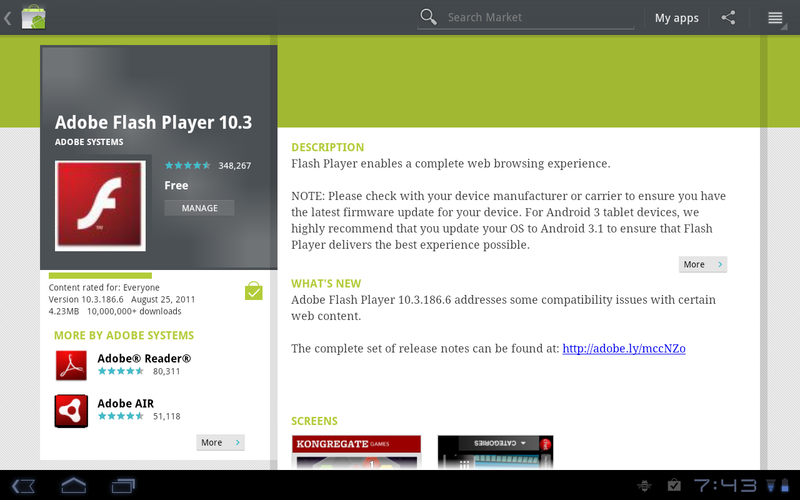 Always a good day when our lovely Android devices receive an Adobe Flash update. Enabling us to further browse and surf the web with ease, and joy. After reporting on the update to Google+, our Twitter friends didn’t waste any time in letting us know that Flash was also issued an update. Flash applications at certain websites (http://heylenmichel.de) now load correctly (2944081). Cheers everyone who tweet and sent this in!